How We Test Lawn Mowers - Which? Find out how we test lawn mowers to reveal which get a lawn looking great with minimal effort. Only the best become Best Buys. How well will it mow my lawn? We test each different type of lawn mower on a range of grass from a short, ornamental lawn to rough meadow grass. When testing lawn mowers, we measure how much time and effort it takes to mow a lawn and how well the mower collects the grass clippings and fills up the grass box. We rate how closely it cuts up to the edges of the lawn to reach the tricky bits of longer grass. When testing lawn mowers, we measure how much time and effort it takes to mow a lawn. We have a range of testers who rate the mower on how manoeuvrable it is and how easy it is to use. Our ease-of-use tests cover how easy the lawn mowers are to set up ready for use (eg setting the cutting height and handle height); how comfortable the operating position and controls are; how easy it is to push the lawn mower around the lawn and manoeuvre around obstacles; how easy the grass collector is to use, and how easily the mower is to clean and store after use. Will the lawn mower collect all my grass clippings? There are big differences in how neat lawn mowers leave the lawn after mowing. Some models collect all the clippings but others leave clumps of grass on your lawn or scatter the clippings far and wide. Check the star ratings in the test results section of each of our lawn mower reviews to see how different models stack up. It’s also helpful to know how well collecting mowers fill their grass boxes. We’ve come across lawn mowers that only fill the grass box half full before they need emptying, which is why each of our reviews shows you the true capacity of each grass box for each collecting lawn mower we've tested. 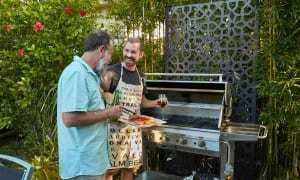 Is the lawn mower easy to use? 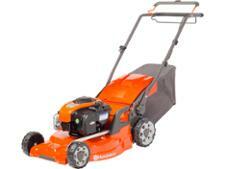 A great lawn mower should take the hard work out of cutting your grass. But some are much easier to use than others so we carry out tests and checks to find out which will help you mow your lawn without any hassle and which will give you a hard time. We weigh the lawn mowers so we can tell you the weight you’ll have to lug around. We check how easy (or not) it is to assemble and dissemble each lawn mower, including removing, replacing and emptying the grass box, and how easy the mower is to store. The convenience of using the controls and manoeuvring the mower around obstacles are also tested, as well as the amount of cleaning the mower needs. Finally, we note other essentials such as how the how long the cable is, the battery lasts if there is one, and how easily the cutting height can be changed. Our overall ease-of-use star rating takes into account these factors so you can see at a glance how easy a lawn mower is to use. 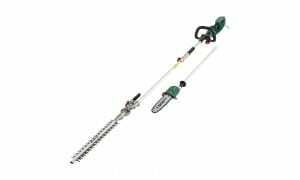 The rating also takes into account feedback from our gardening experts about how easy the models were to use. Check the test results page of each lawn mower review to see star ratings for overall ease of use. How well will the lawn mower deal with edges? Depending on where the wheels are and how manoeuvrable a lawn mower is, it may be able to cut grass lying flat over lawn edges or growing up again a wall or fence - or it might leave you reaching for your strimmer. Our tests that assess how closely the mowers cut grass that's been left to grow along paths and borders and around trees and walls. We use each lawn mower on 15m of each type of edging and rate the finish. We’ve found some lawn mowers that leave you with up to five centimetres of uncut grass. Will the lawn mower be able to cope with tough mowing jobs? 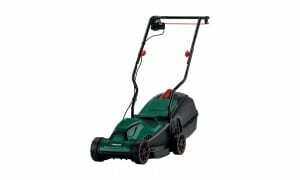 If you've got a lot of long grass to cut, in a meadow or orchard or just a very large lawn, you may be thinking of buying a petrol mower. But being powerful and cable-free doesn't mean a petrol mower will be able to tackle all the jobs you might throw at it. If you've got a really large area to mow, look for a self-propelled machine so that pushing it through the grass won't be a chore. Make sure it has a large grass box that fills well or it has a mulching option so you won't have to make lots of trips to the compost heap. We assess how easy to start each petrol mower is, from cold and after it's been run for a while. 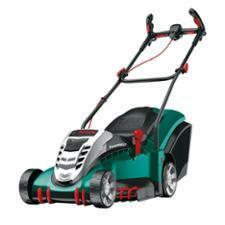 We also check it's got enough power to cut through long grass and tough, clumpy meadow grass. Petrol and electric lawn mowers need to score over 70% in our tests to be awarded a Best Buy. Hand-push cylinders mowers need to score over 60% to be awarded a Best Buy as we don't expect them to tackle long grass and rough grass as well as powered machines. 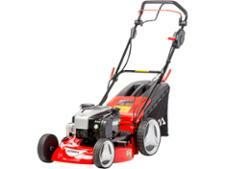 Don't Buy lawn mowers score under 40% in our tests.